Pageo Lavender Farm in Turlock, California is a quaint, vintage outdoor wedding venue. The bridal suite is absolutely gorgeous and huge. There's more than enough room for the bride and 10 bridesmaids to get ready. They have a bed, a big dining room table, chairs, and a huge area of racks to hang dresses. On the other side, there's a hair and makeup area. 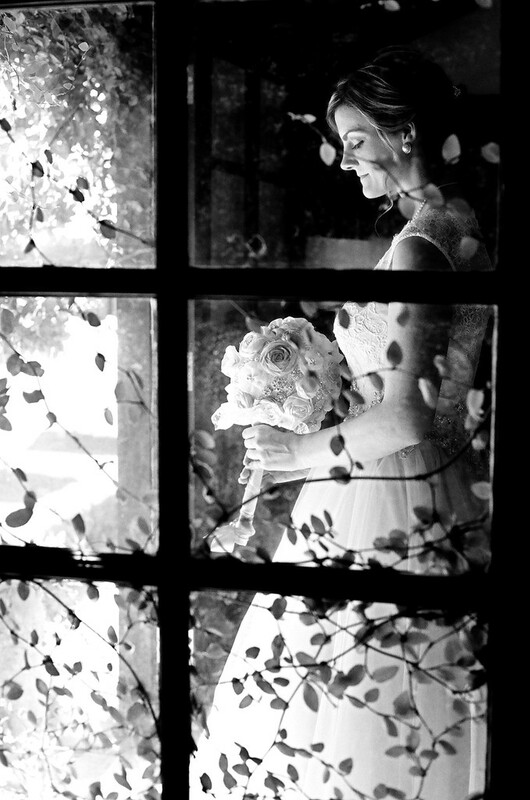 The decor inside that room is unique and interesting, so I did several bridal portraits in there. The bride wore a gorgeous blush Allure Bridal gown and carried a broach bouquet she made herself. The theme of the wedding was Great Gatsby, and they pulled it off perfectly. Centerpieces were stacked books and vintage-inspired glass candle holders. All the china, flatware, and stemware was from the 1920's, including the antique shallow champagne glasses. I love the black and white classic film for this shot because it's timeless and looks vintage, in keeping with the theme of the wedding. The couple did a First Look, and were able to do all their portraits before the ceremony. We did pictures in the lavender field next to the reception area, which is always beautiful. Pageo is the perfect wedding location for a medium sized wedding, with plenty of photo opportunity, clean bathrooms, and wonderful staff. We highly recommend them! Location: 11573 Golf Link Rd, Turlock, CA 95380. Keywords: Black & White (30), Bride (21), Pageo (3), Turlock (3).